Dear oh dear! 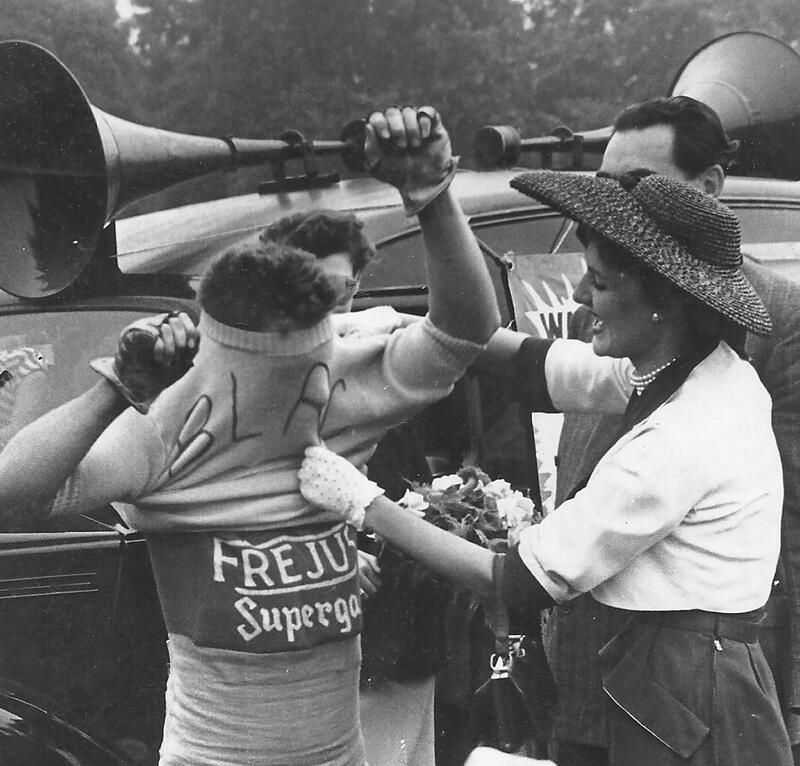 Now we know why the TDF has those “backless” yellow jerseys! Click to enlarge. 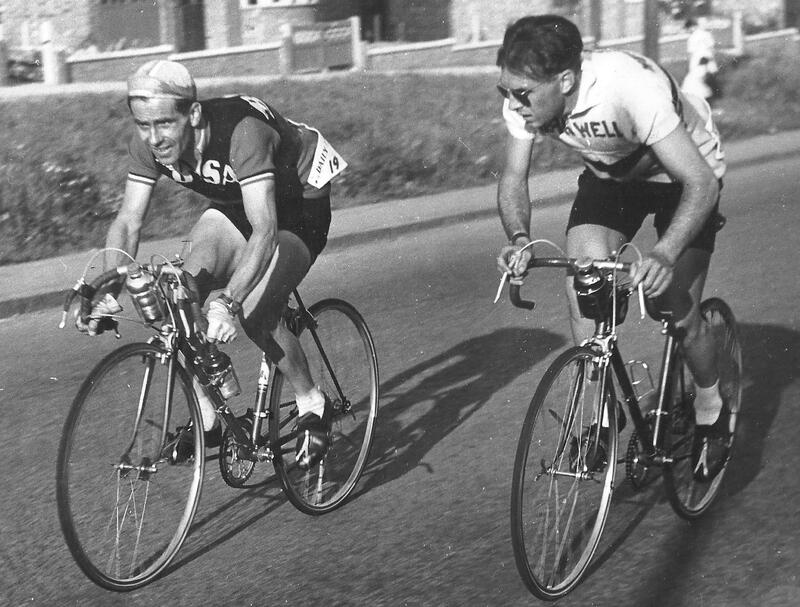 Bob Maitland and Les Scales in, probably, 1953. It looks as if Maitland could do with a couple of links less chain! Click on photo to enlarge.